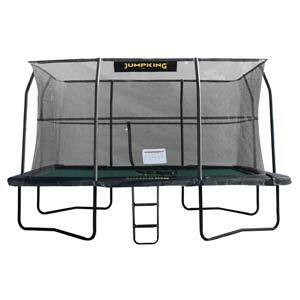 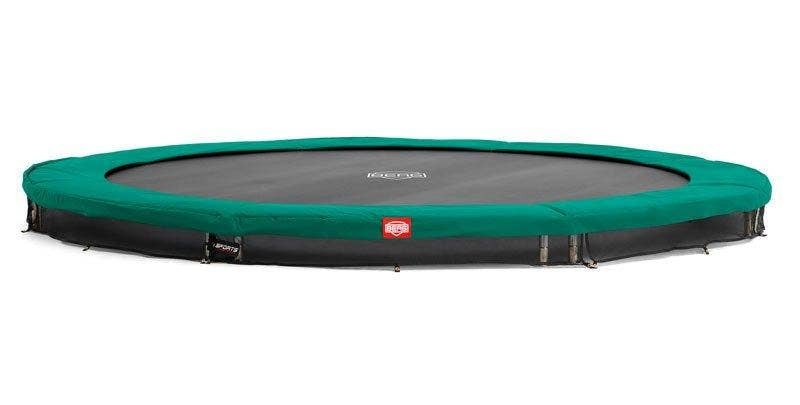 As one of the most successful retailers of Jumpking Trampolines in the UK we are pleased to offer a range of genuine Jumpking spares to give our customers the confidence that their trampoline will always look fantastic and give an 'as new' performance while still maintaining the safety and quality the Jumpking name offers. 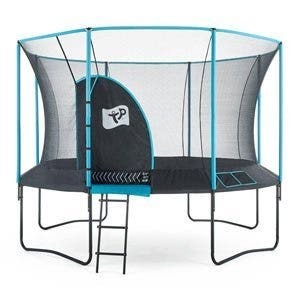 This genuine 13ft x 9ft OvalPOD™ replacement net is for OvalPOD's purchased from 2009 onwards, this style trampoline has the shock-cords running round the top and attached to vertical poles that curve in at the top. 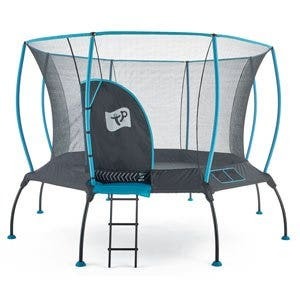 The net material is made from 100% polypropylene and is of a fine weave to ensure little fingers do not become trapped. 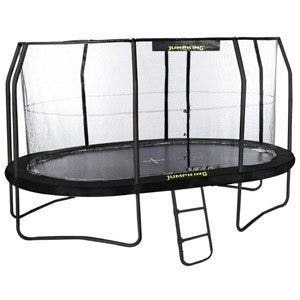 Please measure your trampoline as per the instructions below to ensure you are purchasing the correct size net. 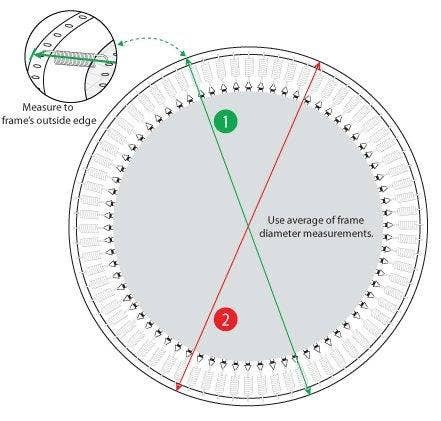 Determine the size of your trampoline by measuring the diameter of the trampoline frame (diagram below shows a round trampoline so take this measurement for the length and width of your oval trampoline). 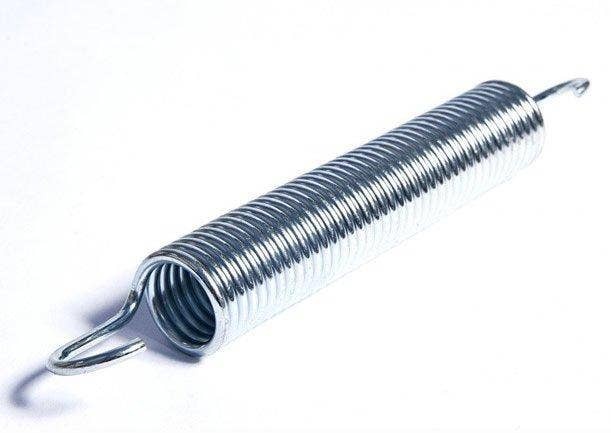 Take the measurement from the outside edge of one toprail to the outside edge of the exact opposite toprail. 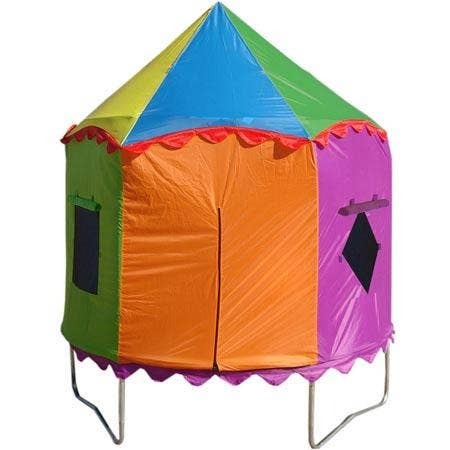 Be sure to take two measurements in different locations to confirm your size.